Be prepared to turn heads when you're wearing this Discount Alpha Epsilon Pi Lettered Crewneck. It's a classic Greek sweatshirt that you wear to parties, lectures and sporting events. It's designed with quality cotton material to keep you warm and toasty all throughout the fall semester! 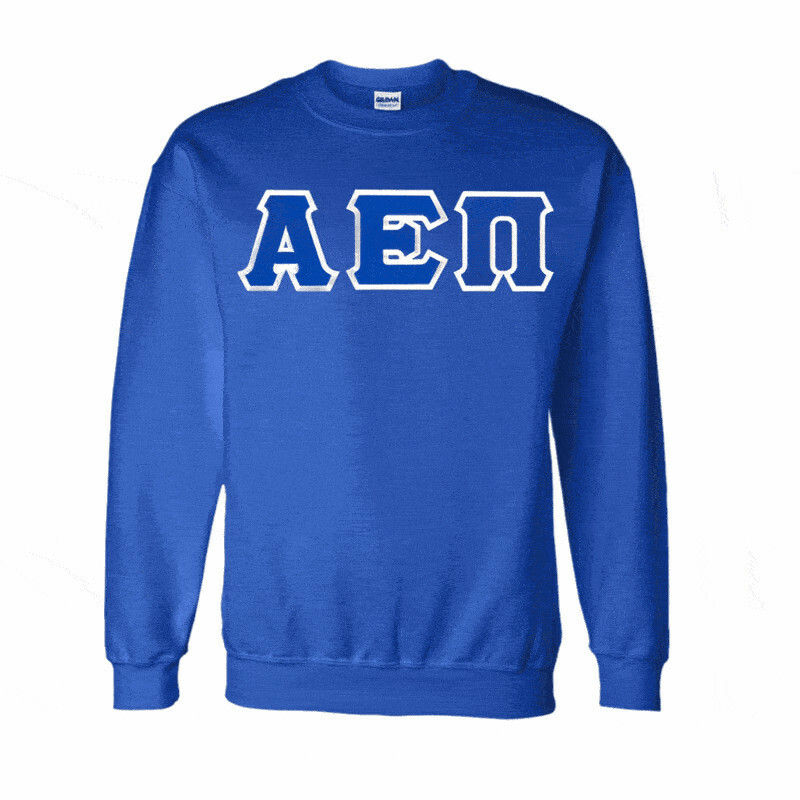 We offer this AEPi crewneck for just 25 bucks in white with your letters in blue with white trim.When the compliments start rolling in, make sure you let everyone know you got it from GreekGear.com ! Please note this is a "sim-stitch" item, meaning simulated stitching. Letters are heat applied and not sewn on the garment. They do have the same look as a sewn item!